Planets which orbit stars other than our own sun are known as extrasolar planets, or exoplanets, and they could offer the best hope for finding new forms of life in conditions similar to those on Earth. Now scientists have discovered the closest exoplanet yet, at a mere 4.3 light years away. 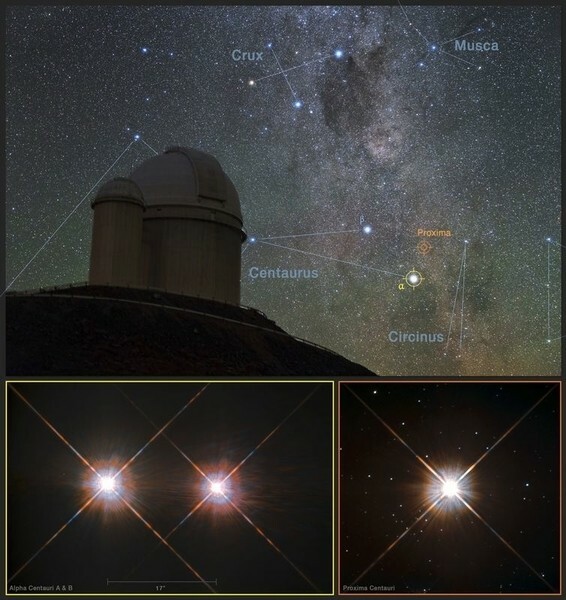 Proxima b, as it is being called, joins a list of over 3,500 exoplanets that have been identified since the first was discovered around 20 years ago. Unlike other exoplanets, Proxima b could be close enough for humans to visit with their first interstellar spacecraft. “Many exoplanets have been found and many more will be found, but searching for the closest potential Earth-analogue and succeeding has been the experience of a lifetime for all of us,” said Guillem Anglada-Escudé from Queen Mary University of London, who led the team that made the discovery. 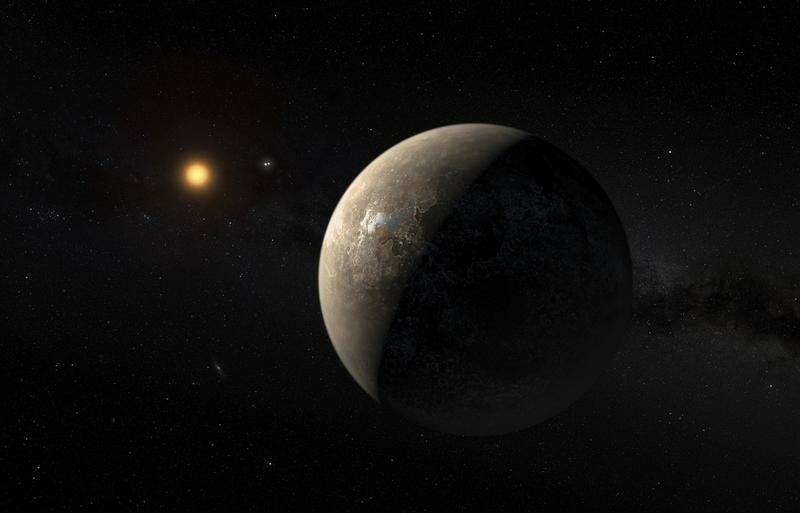 The team first suspected the existence of a planet orbiting the red-dwarf star, Proxima Centauri, through shifts in starlight caused by the gravitational tug of an orbiting planet. Measurements started in 2000 at the European Southern Observatory in Chile showed a minor but periodic change in the colour of the star’s light – from blue when it was moving closer to an observer on Earth to red as it moved away – that occurred every 11.2 days, prompting scientists to question what was causing the shift with such regularity. Astronomers then had to rule out whether the signal was indeed caused by an orbiting planet or another type of activity, such as stellar flares. From 19 January to 31 March this year, the researchers conducted a series of follow-up observations for 20 minutes each night, which confirmed the exoplanet’s existence. At least 1.3 times the mass of Earth and with a temperature that would allow liquid water to exist on its surface, the newly discovered world of Proxima b could potentially harbour life, but scientists do not yet know whether anything is living there. Despite its rocky similarity to our own planet Earth, radiation from the dwarf red star that it orbits could mean that Proxima b has a very different climate or has had its atmosphere entirely stripped away. Like our own moon, the planet is tidally locked, which means its orbital period matches its rotational period, so one side of it is cast in permanent darkness. For example, the moon takes 28 days to go around the Earth and 28 days to rotate once around its own axis, so the same face of the Moon is always facing the Earth. After many years of looking into the far depths of space, the discovery will no doubt prompt a more extensive exploration of our newest and closest cosmic neighbour to gain insights into how Earth was formed, or whether indeed Proxima b could be a refuge for humanity if we destroy our own blue dot. But even the closest exoplanet isn’t easy to reach. This April, the scientist Stephen Hawking and the entrepreneur Yuri Milner announced Breakthrough Starshot, an engineering initiative to design fleets of tiny, laser-propelled interstellar spacecraft over the coming decades. Travelling at 20% the speed of light, they could reach Proxima b in about 20 years. But even if this technological peak is reached, whatever Proxima b is like today – actually 4.3 years ago already – it could be very different by the time we get there, if it’s even still there at all.